Like they say, the best way to a man's heart is through his stomach. Food is so much more than just sustenance, in fact, food brings people together, and not to mention the joy that good food could bring. 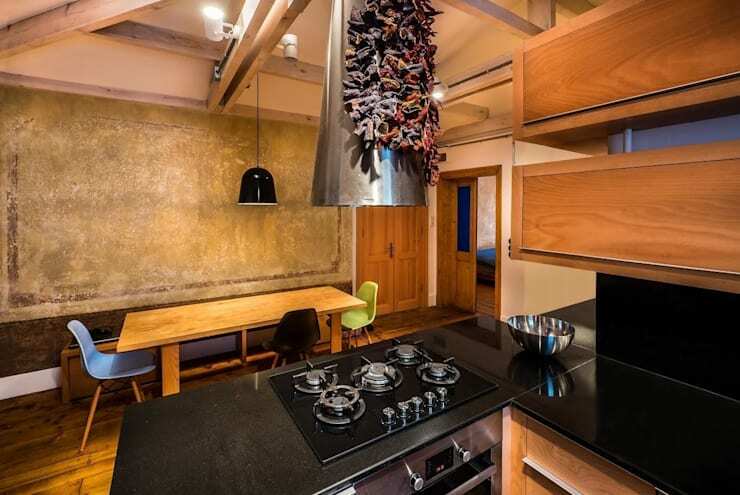 So having a kitchen where you could also enjoy cooking would be quite a bonus. 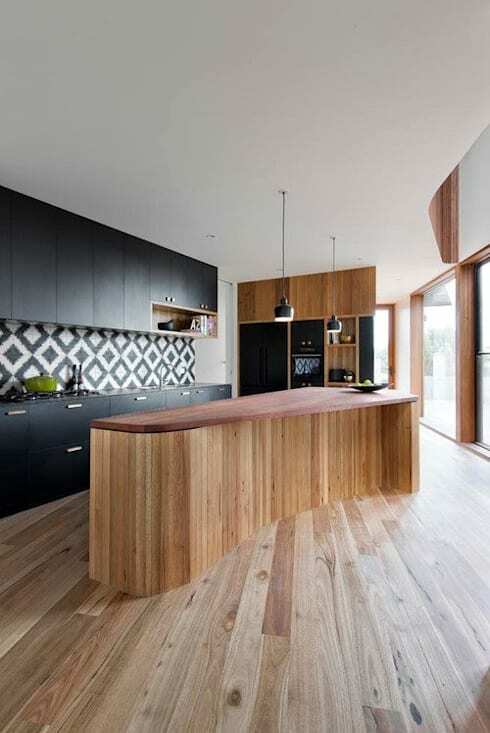 Here, we'll give you tips on how you could improve your kitchen space. Adding in some family heirloom as decoration or trinkets you've acquired from your travels adds so much character to a room. 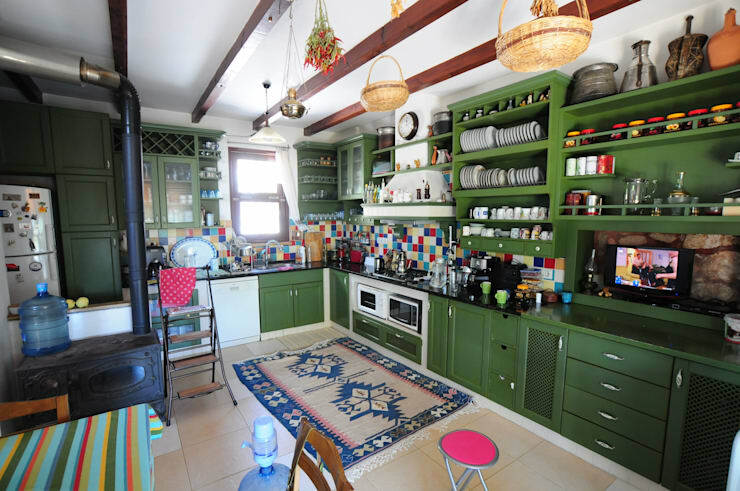 Open shelving is also a practical way to store spices and other ingredients, making it easier to find and placing a nice mat with a unique print provides more character to you kitchen. 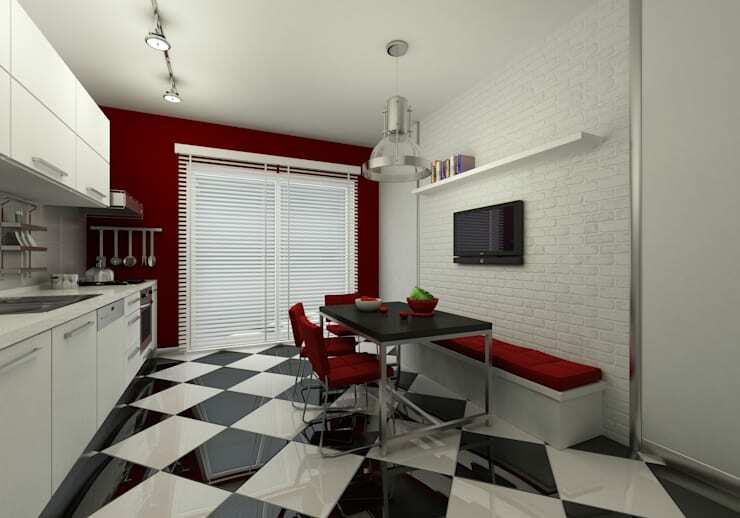 The black and white checkered floor exudes a geometric flair, and adding a pop of colour like the use of red along the walls and furniture provides an eye-catching statement. The white brick wall also adds texture and style to the room. Adding in a personal touch to you kitchen will make it feel more homey. You could also have a blackboard where you could write your shopping list or maybe as a marker to track the growth of the children each year. 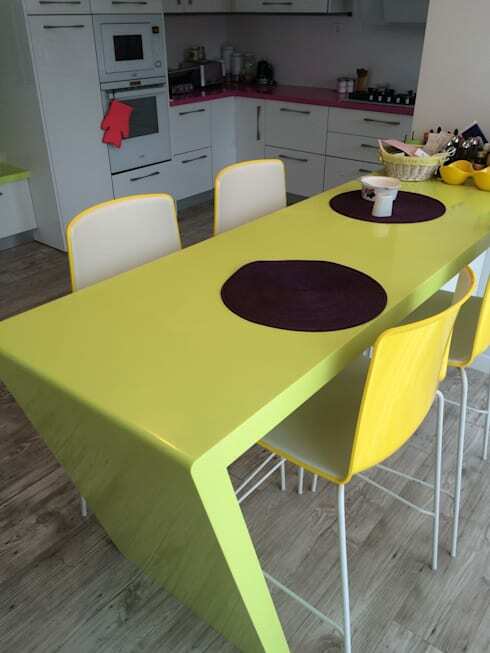 Adding a pop of colour in the kitchen makes the space more lively and interesting. Too much colour, on the other hand, will make it look tacky. But with just the right amount, then you're all set! 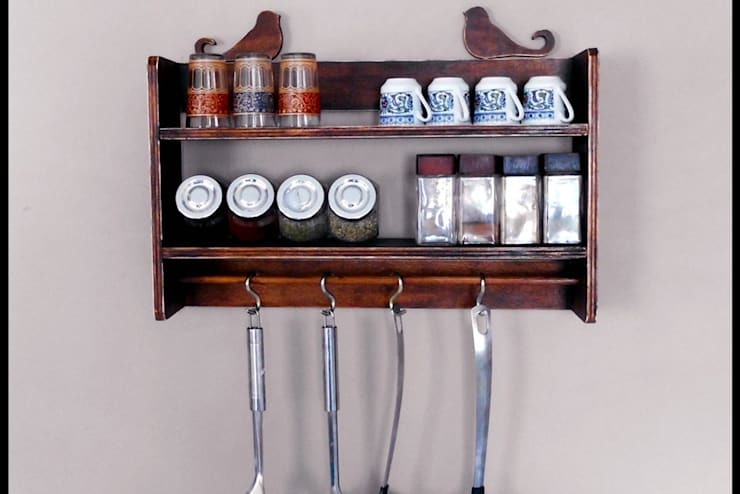 Display those beautiful spice jars and mugs in a nice rack. Then underneath, you could install these hooks where you could easily hang ladles or pots and pans. 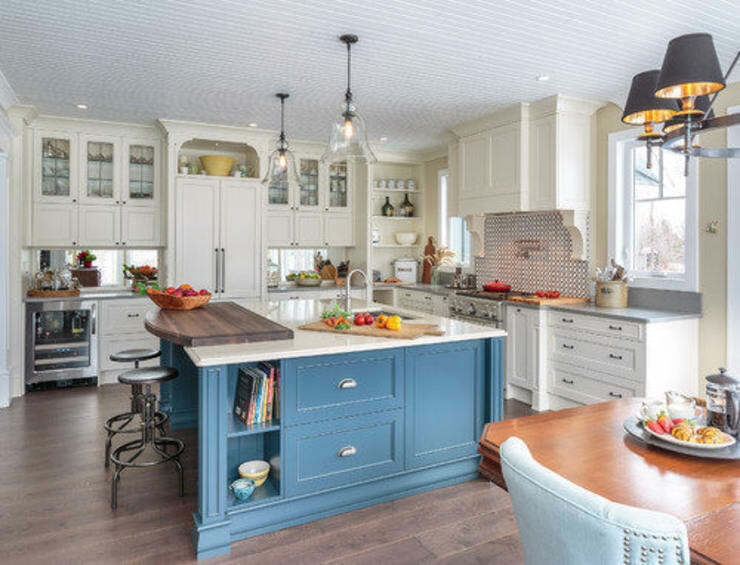 Adding a bar area along the countertop is a nice way to get people to hang out in the kitchen or even participate in food preparation. Here you'll see a wood plank along the counter to serve this purpose along with barstools which could be pulled out from underneath. Bare cement walls, whitewashed beams, distressed wood are all deliberately used to make this kitchen look rustic. Having chairs of different colours also make a nice design statement. 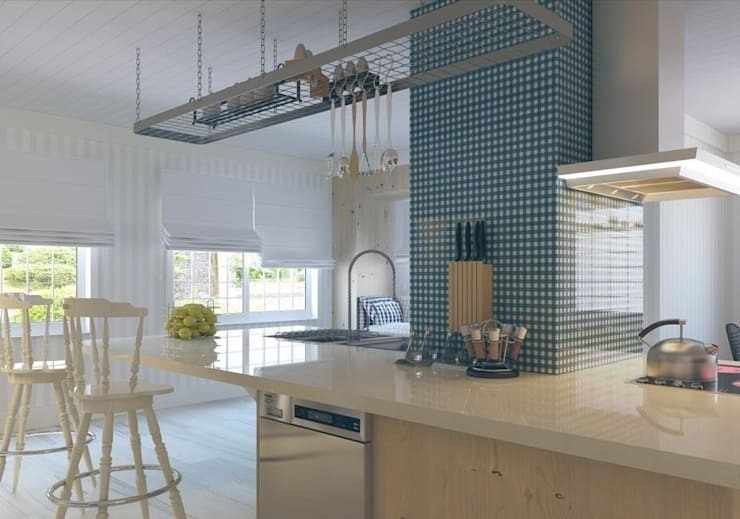 This sleek white kitchen may feel a bit stiff, but if you're pet peeve is cleanliness, then this might just work for you. Also, the highlight of this kitchen is actually the wide view of the outdoor. 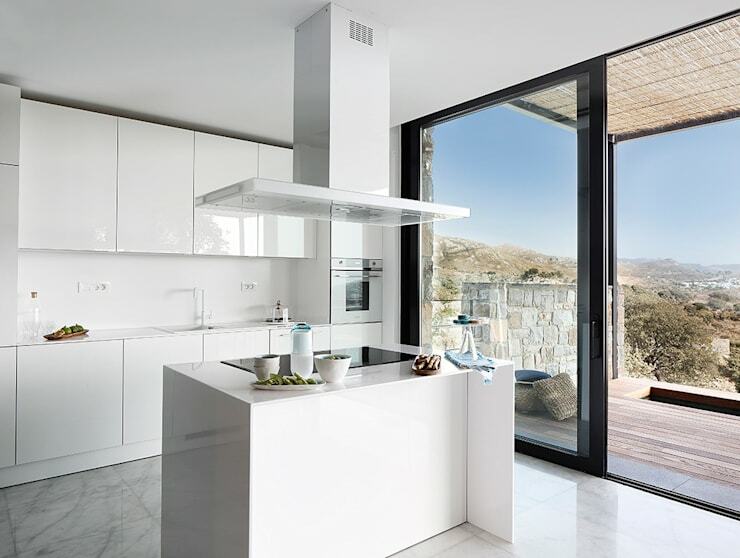 Most kitchens just have small windows, but having this whole wall as a sliding glass door is a great way to open up the space and it also makes it a nice picturesque relaxing experience for anyone who is preparing the food. 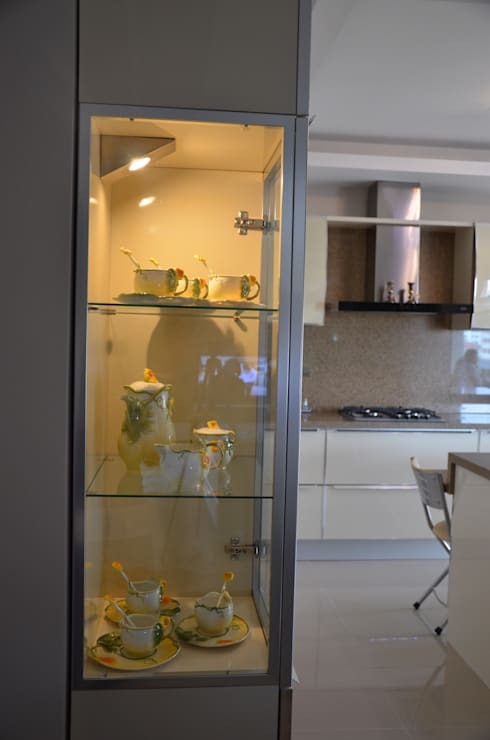 Take that china out from the cupboard and display them as decorative elements. They're wonderful pieces, especially those antique china that you could hardly find nowadays. Adding in this industrial wire mesh rack bolted from the ceiling provides more storage space. 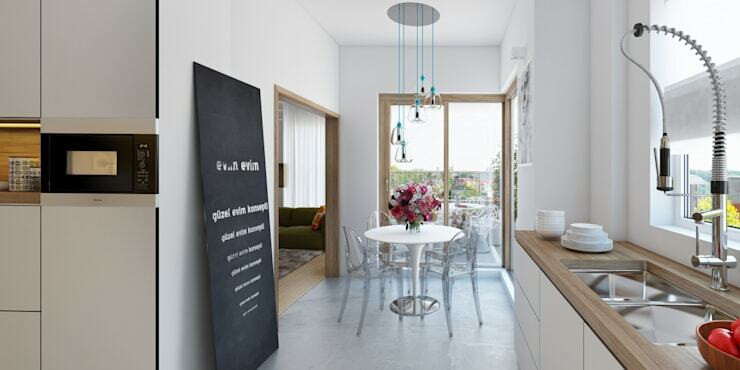 You could hang ladles, pots and pans from a hook and you could also store items to sit on top of it. 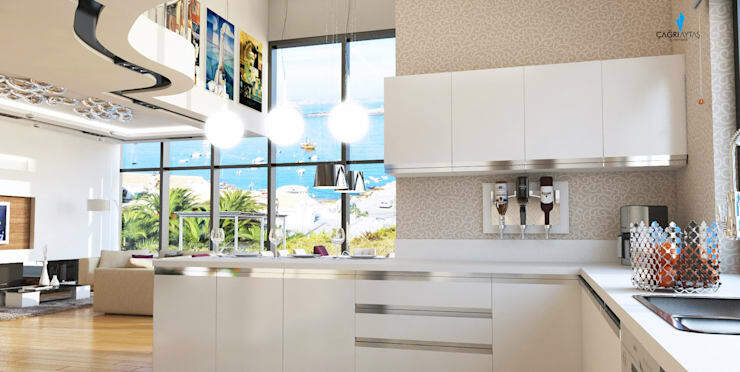 White and silver colours adorn this space; that along with the clean straight lines, make this kitchen look elegant and sophisticated. 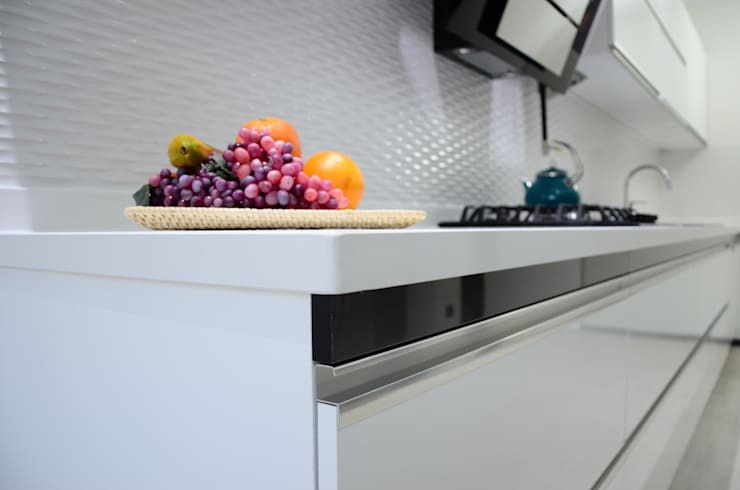 One of the defining design elements in a kitchen is the choice of backsplash. Check out the texture of the white, easy to clean sheet/tile used here. The material and design makes it look very interesting. 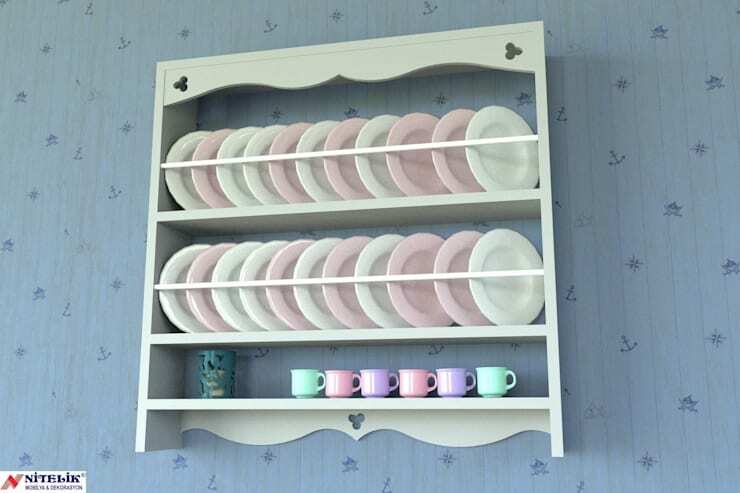 Display your dinner set with the use of a rack. This beautiful and functional design would look wonderful in a quaint cottage style home. Ingredients don't always have to be stored in cupboards. 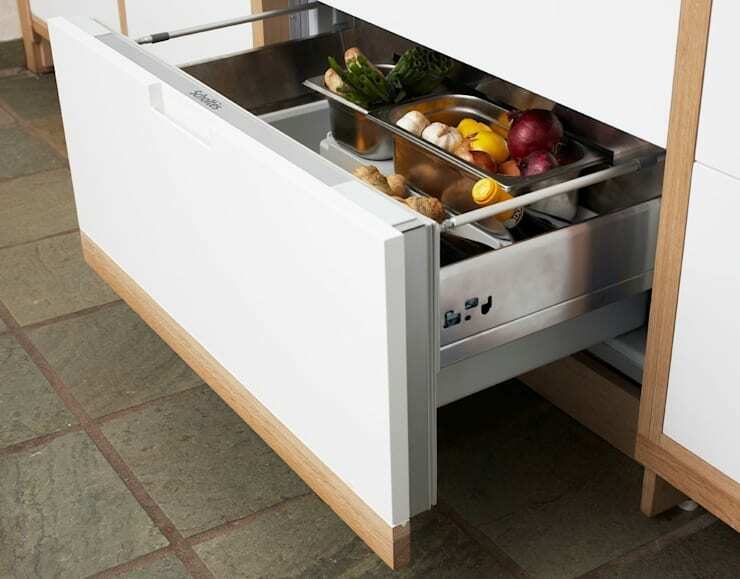 In fact, drawers could work just as well. Check this out. There are also certain drawers that when pulled, would appear as a spice rack. there's so much that can be done to make these storage areas more suitable for your lifestyle.